MGMT, our favorite psychedelic-pop duo, is coming back this fall with a self-titled third record, due out September 17th via Columbia Records. 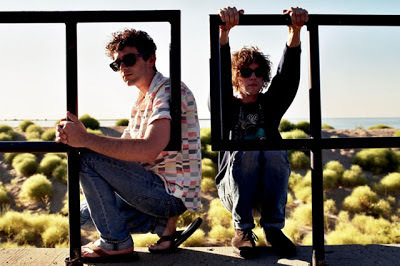 The reclusive duo of Andrew VanWyngarden and Ben Goldwasser have reportedly been recording as a duo, without the help of the backing band that accompanied them for 2010's Congratulations. I, personally, am of the smaller division of people who actually preferred Congratulations' psycho-structure over Oracular Spectacular's hooks, but fear not, as the group has enlisted the help of Flaming Lips' producer Dave Fridmann. Fridmann was also at the helm for the band's debut LP. This shouldn't necessarily be taken as a hint that the band will make a full circle return to Oracular Spectacular, but hopefully all you haters out there will be pleased with what the results. You can find the track listing below, as well as the video for MGMT's latest (Record Store Day cassette) single, "Alien Days"